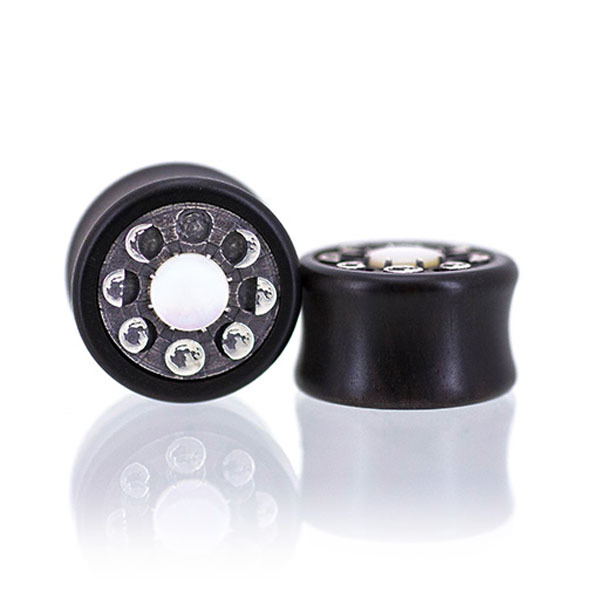 Add some luxury to those lobes with these out of this world Lunar Phase Custom Plugs. Crafted from Gaboon Ebony, Sterling Silver, and Mother of Pearl, this gorgeous style is 100% carved, cast, and set in Omerica Organic’s workshop. Hardware set without the use of adhesive. Ordered these in size 15mm XL – Superb quality, fits snug in the ear. The craftmanship is amazing. The silver adds a nice touch.